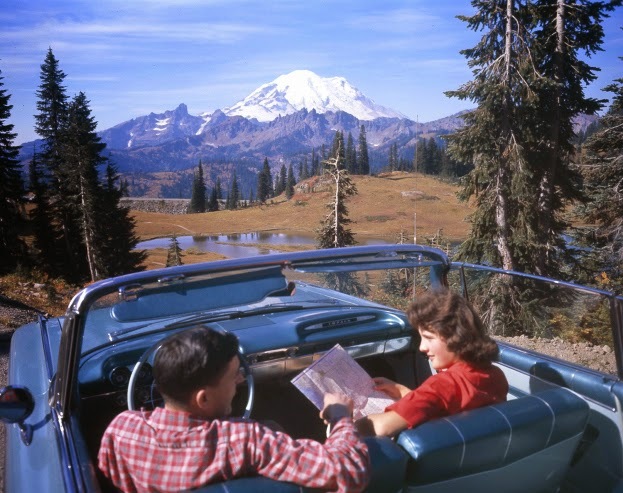 Oddball Films brings you Wanderlust - The Great American Road Trip, an evening of vintage 16mm films about our need to travel and the sights, sounds, and smells of American backroads set to be discovered by car, bus or train. From Technicolor promotional films to chimp-tastic travelogues, cartoons and more, this night is sure to move you. We'll begin the evening with original trailers for Easy Rider, White Lightning and Smokey and the Bandit. 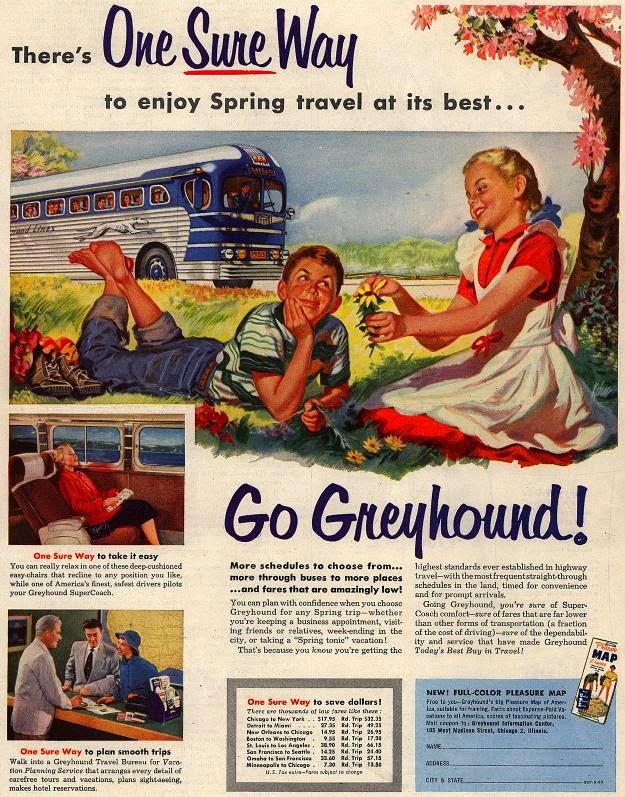 Then, set off with two gals on a Greyhound as they discover roadside America and true love in the delightfully campy America for Me (1952). See all the sights in Florida, with a sick chimpanzee as you guide when Mr. Chimp Goes South (1953). Los Angeles has never been more enticing, or as full of itself as in the over-the-top tourist promo Come to L.A. (1970s). Head down to vintage Mardi Gras with the wisecracking Arthur Cohen in Brooklyn Goes to New Orleans (1953). Farmer Alfalfa hits the road with his state-of-the-art camper in tow in the Terrytoon Tin Can Tourist (1937). Eric Martin creates an experimental vision of a cross-country trek incorporating found sound and radio broadcasts in USA Film (1977). Plus, we'll be double-projecting See More of America (1970) with vintage Home Movies and more surprises for the early birds, so cruise on down to Oddball for the best road trip you'll ever take. Oddball Films presents Strange Sinema, a monthly screening of new finds, old gems and offbeat oddities from the collection. Drawing on his archive of over 50,000 16mm film prints Oddball Films director Stephen Parr has complied his 75th program of classic, strange, offbeat and unusual films. This installment, Strange Sinema 75: Strange Discoveries celebrates the 75th anniversary of monthly Strange Sinema screenings. In true Strange Sinema style this program presents entirely new discoveries from the archive’s recent acquisition of 300 new 16mm film prints. Most, if not all of these films are rarely screened and unavailable online. Films include Die Pistole (1964), a powerful stop-motion short and wry commentary by West German animation filmmaker Wolfgang Urchs; Art For Tomorrow (1969) an eye-popping exploration of experimental tech-oriented art incorporating early IBM computers, cybernetics, heart beat triggers, invisible art by magnetism all narrated by Walter Cronkite; Two Bagatelles (1953), two experiments in pixilation co-directed by animation genius and founder of the National Film Board of Canada Norman McLaren and filmmaker and actor Grant Munro; Opus (1969) a fascinating tour-de-force montage of British art, architecture, theater and swingin’ London fashions-all that was shocking in 1969; directed by experimental cinema legend Don Levy. 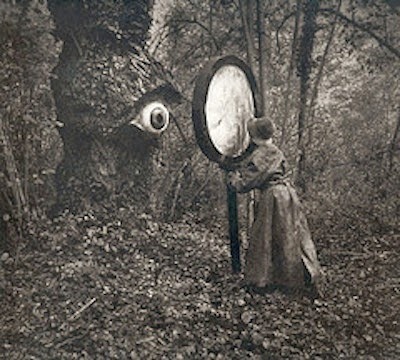 Other discoveries include Himalayan Shaman of Northern Nepal (1967), focusing on the work of a shaman including spirit possession, sucking out evil spirits and purifying his mouth with fire; Enfantillage (Kid Stuff) Pierre Trudeau’s potent metaphorical film combines drawings and puppet animation conveying the extreme effects of family discord on a small child; and Subject: Narcotics (1951), a very early drug education film produced for police orientation and training presenting dramatized sequences of addicts in shooting galleries with excellent footage of pre-renewal downtown Los Angeles (a neighborhood now lost). Lumiere’s First Picture Show (1895-1897) is a compilation of the earliest films ever made by French cinema pioneers the Lumière Brothers as well as a vintage look at the Lumières' patented cinematograph, a combination camera, projector, and film printer. To end up the evening we present a fascinating profile of a Nigerian Yoruba healer in Ifa Divination Diagnosis: A Traditional Specialist (1977). Oddball Films and archivist/guest curator Scotty Slade bring you Ethno-Graphics: Ancient Cultures in a Modern World , a showcase of ethnographic films from our incredible collection of 16mm prints. Shamelessly inspired by the BBC’s remarkable series, Human Planet, this program explores the miraculous ability of humans to adapt to their environment and derive what they need from their immediate surroundings. By focusing on people who continue to live as their ancestors have lived for hundreds and thousands of years, these films look at the multifarious ways in which we relate to and form culture from our surroundings. 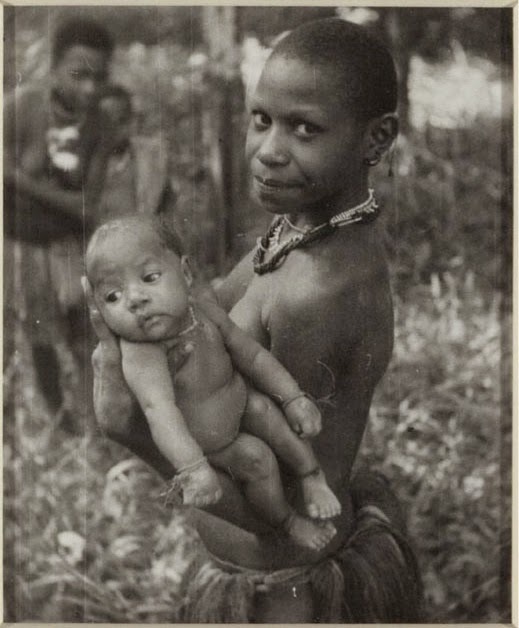 Margaret Mead’s 1952 film First Days in the Life of a New Guinea Baby brings us into the most intimate days between a mother and her newborn child, and introduces us to the early ethnographic genre by one of the most influential anthropologists of our time. Making our way west, we scale the Himalayas in Sherpa High Country (1977), an almost psychedelic film about the Sherpas of the Solu Khumbu highlands in Nepal. Crossing the Asian continent to Africa, we’ll come down in elevation to the highlands of Mali, in Hunting Wild Doves (1967) with the Dogon people. From there, we’ll get drier and drier in Desert People (1970), a two part film about the Tuaregs (whose incredibly rocking electrified music has swept the globe in recent years), a nomadic people of the Sahara, and the Rajputs, the cultivators of the Great Indian Desert. From there, we’ll jump across the Atlantic to Venezuela. 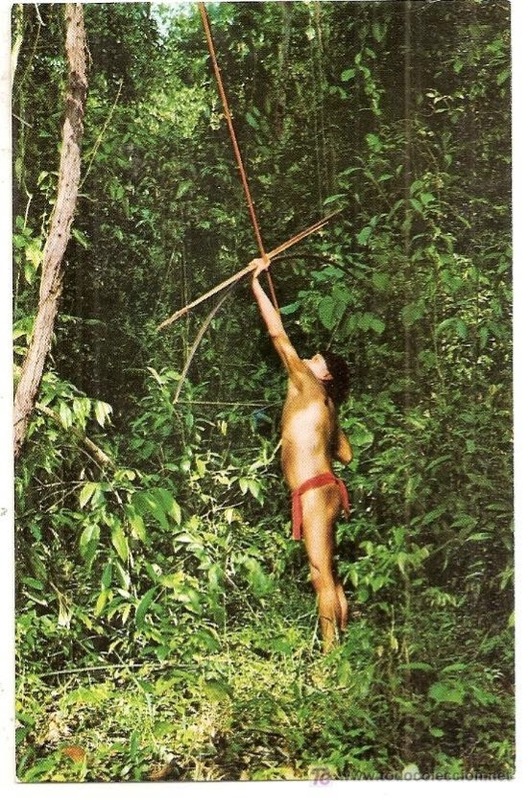 Indians of the Orinoco (1972) gives us the chance to meditate in great detail on the process by which blow darts and dart guns are fashioned and used in the jungle. Finally, we’ll fly all the way to the Eskimo Hunters of Northwestern Alaska, and learn the ways of the frozen landscape, in this bizarre, dreamy, almost Chick Strand-ian documentary film made in 1949. So come celebrate the majesty of humanity, our relationship to the natural world, and our ongoing struggle to support the rights of indigenous peoples to maintain their ways of life. Oddball Films and guest curator Lynn Cursaro present: Hollywood Smashes Hitler! Propaganda-tainment from WW2 featuring a smattering of 16mm delights from the 1940s. During the big one, the Hollywood homefront pitched in big time! Silver screen stars served and those who didn’t signed on to support the war effort in their special way. Filmlanders shilled for war bonds in the glittering All Star Bond Rally (1945) featuring Bob Hope and Carmen Miranda. Frank Sinatra shines as a potent symbol of tolerance in the musical short The House I Live In (1945). Director Fred “High Noon” Zinneman reminds us that refugees are people, too in The Greenie (1942). Kookie novelties such as In Current Events kept the message light with live action talking animals. Cartoons doled out info to both GIs in Pvt SNAFU Vs. Malaria Mike (1944) and the public at large with Meet John Doughboy (1941). The USO could count on manic Betty Hutton in The Stork Club (1945) and crafty comic strip pals Nancy and Sluggo Doin' Their Bit (1940s) to lend a hand. And MORE! Home-baked carrot cookies and other Victory treats while they last! Get those bandages rolled early and come on down! 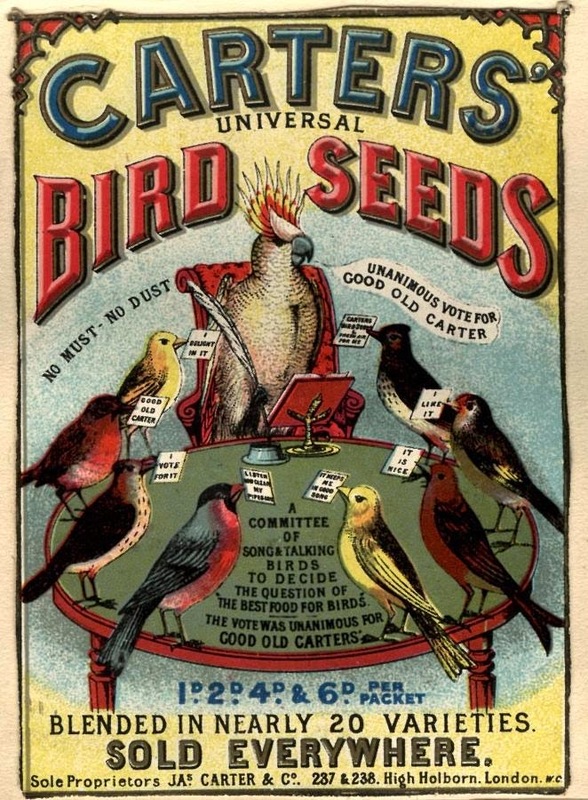 Oddball Films and curator Kat Shuchter bring you Birdstravaganza - Fine Feathered Films with a lineup of the best birds in showbiz featuring international animation, mini-docs, circus birds and bird-centric shorts from the 30s-80s. From the quirky to the creepy, campy to classic, these feathered films are sure to delight. Behold the marvelous spectacle of parakeets riding bicycles and tightrope walking in the vibrantly colored Bird Circus (1950s). In the utterly charming Czech rarity Queer Birds (1965), the cutest pair of best bird friends you'll ever see must team up to fight off an oppressive black cat (and dance around to the radio). Live kiddos chat with animated birds about the all-seeing bird network that knows our every move in the Tiny Tot cartoon A Little Bird Told Me (1934). Edgar Allen Poe's tale of grief and loss The Raven (1978) is beautifully translated to the screen through the optical printing of Gustav Dore's haunting engravings. From Hungary comes The Blackbird (1979) the bizarre live action tale of a bird wreaking havoc on a whole house and its inhabitants (including the dog). The Academy Award nominated Italian animation The Thieving Magpie (1967) tells of another bird in revolt, this time against its hunters and set to Rossini's classic overture. Daffy Duck noirs it up with a feathered femme fatale in Robert McKimson's Super Snooper (1952). The San Diego Chicken gives us a lesson in Chickenomics (1985). Forget falconry, discover how to train eagles to hunt for lizards with wonder-bird Aguila in the super-rare Daniel and Julie Mannix with their Eagles (1940s). 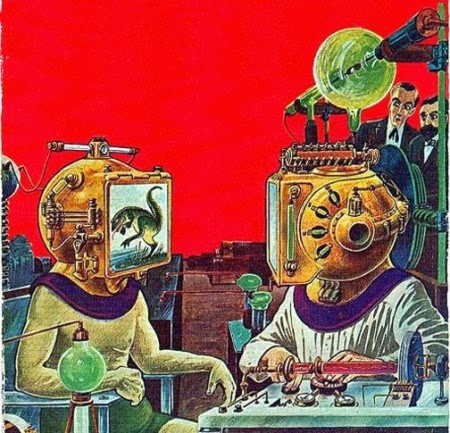 And learn all about the fascinating science of bird navigation in Bird Brain (1974) which will be double-projected with 1950s Kodachrome mini-docs Five Colorful Birds, Birds that Eat Flesh and another high-flying carnival, Parakeet Party. Everything will be screened on 16mm film from the archive and we've got even more surprises under our wing for the early birds! Oddball Films and curator Kat Shuchter present Learn Your Lesson...Juvenile Delinquents - A Rebellious Shockucation, the fourteenth in a series of programs highlighting the most ridiculous, insane and camptastic educational films, mental hygiene primers and TV specials of the collection. This month we are taking on those teenaged hoodlums that shoplift, vandalize, do drugs and wield knives. 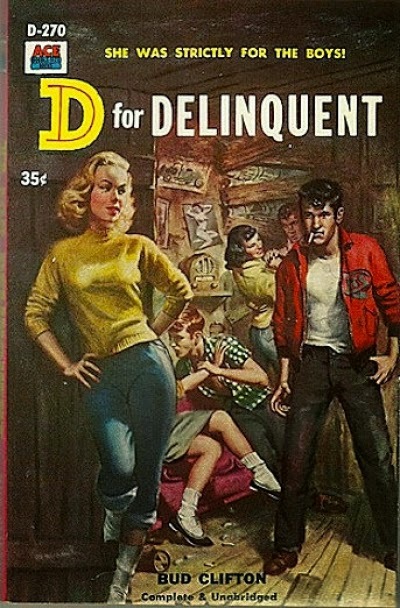 The RKO Screenliner Teenagers on Trial (1955) warns parents and teens alike that overcrowded classrooms, vacant parenting and societal pressures can all lead kids down a road of juvenile delinquency. William Shatner sets the kids straight about Graffiti (1974) and encourages them to make Mission-style murals instead. One teen boy has got all the answers about shoplifting, until he ends up at the police station in Caught in a Rip-Off (1974). Richard Widmark narrates the classic mental hygiene scare film Boy With a Knife (1956). Fat Albert and the Cosby Kids find out that even stealing a delicious candy bar is wrong and worth narcing about in Take Two, They're Small (1975). Tragic figure Sal Mineo knows the pressures on teens to fit in, but warns that taking acid is nothing more than a "kick in the head" in the appropriately psychedelic trip LSD: Insight or Insanity (1967). And in McGruff on Personal Property (1987), McGruff the crime dog barks about respecting other people's property and (as always) narcing on your vandal friends. In Jojo's Blues (1982), directed by Peter Wallach, Jojo is just a claymation puppet that wants to belong, but the initiation rites in the local gang are at too high a price to pay. Plus, a heartwarming excerpt from Scott Baio's very first Afterschool Special, Luke was Here and more JD surprises in store, it's a great time to learn your lesson! 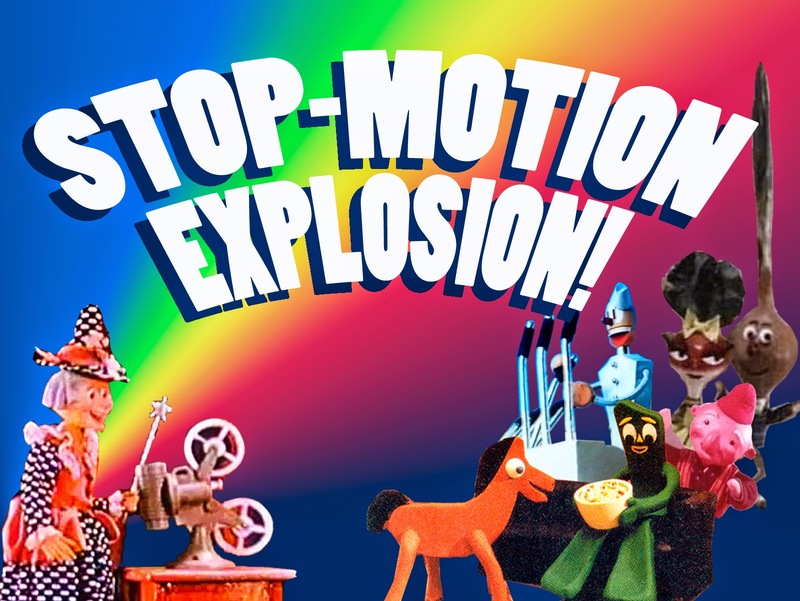 Oddball Films and curator Kat Shuchter bring you Stop-Motion Explosion!, a program of mind-blowing stop-motion animation from the 1910s to the 1980’s. In a world saturated with CGI, Oddball Films opens the vaults to celebrate when historical, fantastical and anthropomorphic creatures were hand-sculpted and manipulated into “life.” This program features stop-motion heavy-hitters Ray Harryhausen, George Pal, Art Clokey, Ladislas Starévich and Will Vinton including several rare works we've just uncovered for their big Oddball debut. Ray Harryhausen and George Pal became two of the biggest names in special effects wizardry in Fantasy film creature making, but they both got their start making charming and stunning stop-motion shorts. 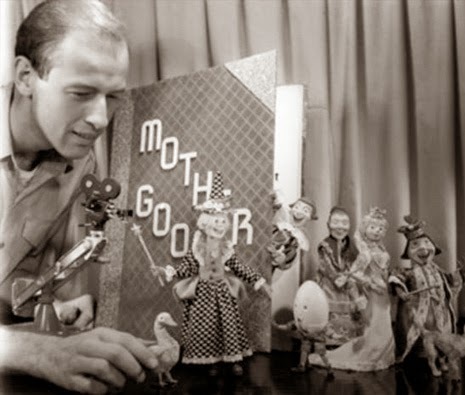 Ray Harryhausen's Mother Goose Tales (1946) was his first solo project and features intricately rendered puppets and gorgeous color thanks to the magic of Kodachrome film stock. George Pal's Puppetoons showcase art deco artistry, hand-carved wooden puppets and an exuberance unmatched to this day and we've got two of them; The Big Broadcast of 1938 (1937) and the newly uncovered Sky Pirates (1938). Gumby and Pokey run away from home and blast off into space in The Small Planets (1957). Will "California Raisins" Vinton turns clay into pre-hysteria in the much loved claymation marvel Dinosaur! (1987). 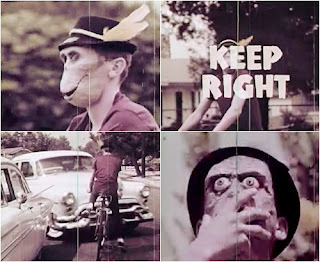 Chuck Menville and Len Janson revived the art of pixilation (stop-motion animating people) to hilarious effect when a biker gang tears around the roads without their motorcycles in Vicious Cycles (1967). 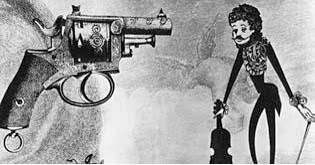 Ladislas Starévich's Cameraman's Revenge (1912) is now over 100 years old, but it's buggy tale of infidelity remains delightful. A little girl befriends a carousel lion in the adorable Soviet short The Imagination Film (1977). Rutabagas and radishes dance up a storm in The Rutabaga Rag from Di$ney's Symposium on Popular Songs (1962). Arthur Lobel's beloved amphibians come to life and enjoy their domestic partnership, the spring and a series of quirky adventures in Frog and Toad are Friends (1985). Watch mice dance in The Rolling Rice Ball (1965) from Japanese stop-motion company Gakken Films. Plus, Art Pierson's Whazzat? (1975) and more stop-motion surprises, it's a night one million minute movements in the making! 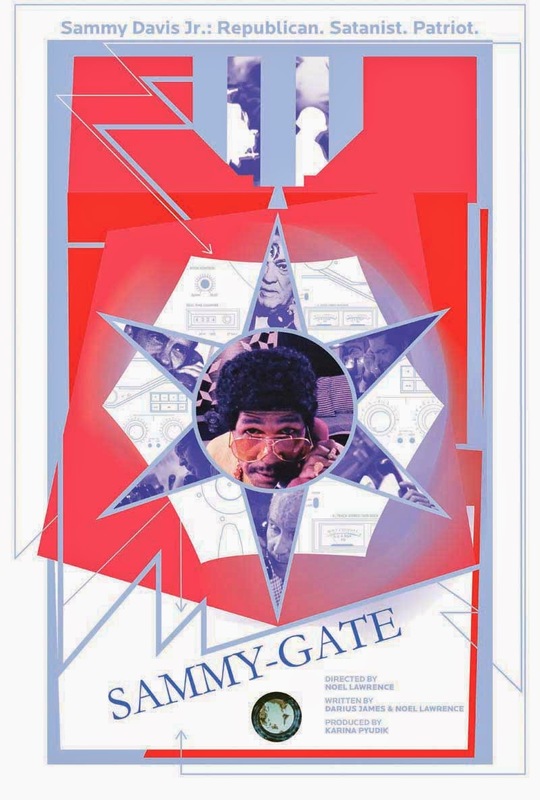 Oddball Films wants to give a special shout-out to Noel Lawrence and his new picture Sammy-Gate. The film is a dark political satire about how Sammy Davis, Jr. caused Watergate. How the hell did he do that? You will need to the see the film, but the twisted plot involves The Mafia, J. Edgar Hoover, Howard Hughes, and the Church of Satan. 70s retro-philes take note! Sammy-Gate doesn’t just take place in the bad ol’ days of the Nixon era. The film looks like it had been stored in a basement since 1973. Shot on vintage 35mm Panavision gear and lenses in Cinemascope, the footage was pushed extra stops to give it that dirty grindhouse look we cinephiles know and love. Additionally, Sammy-Gate provides a visual feast of seizure-inducing psychedelic visuals as well as a dizzying collage of obscure and eye-popping archival footage from the Vietnam War and Nixon Administration. At the moment, the filmmakers are doing a Kickstarter to raise completion funds for the picture. So, if you have some spare change lurking between the cushions of your couch, they are offering some awesome rewards for donors, including stuff from Gidget Gein (of Marilyn Manson), author Darius James, cult director J.X. Williams, and psychedelic rock outfit Spindrift. Click here to check it out and SPREAD THE WORD! Oddball Films and curator Kat Shuchter present What the F(ilm)?! 4: Quadruple the Cine-insanity an evening of some of the most bizarre, hilarious and insane films from our massive 16mm collection. This time the insanity includes safety lessons from monkey-children, Jesus as a mime, swingin' promotional films and a Busby Berkeley musical number. Monkeying around on your bicycle has never been more deadly than for the 10 chimp-masked children heading to a picnic but not following the rules of the road in the legendary One Got Fat (1963). Jesus is a mime at a circus, alleviating the burdens of his fellow carnies before being crucified as a marionette in Parable (1964). Mel Brooks freaks out over experimental animation in Ernie Pintoff's Oscar winning cartoon The Critic (1963) One housewife can't contain herself once she discovers RIT fabric dye in the swingin' Color for Joy (1962). Children sing longily about cuts of meat over foody montages in the pint-sized musicalamity The Eating, Feel Good Movie (1974). Learn how to shoot like the cops when confronted with various deadly scenarios in Shoot, Don't Shoot II (1973) Princess Cruises wants you to know how a cruise can make All The Difference in the World (1970's) and the grandiose narrator is willing to pound it into your head with the help of a staff and clientele in the shortest of short-shorts. And our musical interlude for the evening will be Busby Berkeley's feline frenzy Sittin' on a Backyard Fence from Footlight Parade (1933). It's a great night to lose your mind to 16mm cine-insanity!